Delhi air pollution has peaked 40 times the World Health Organisation's safe level mark. 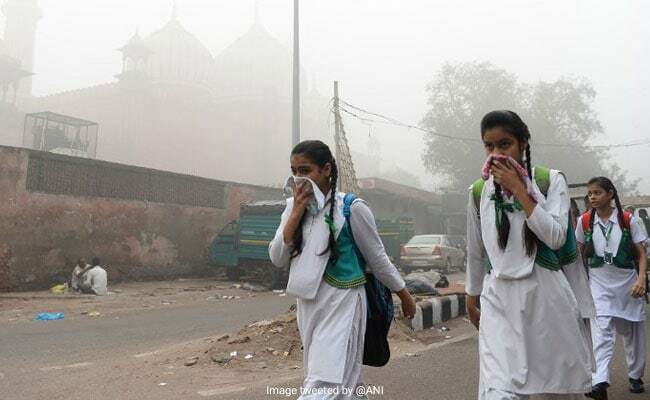 As per Central Pollution Control Board, the pollution level in Delhi on Monday at 4 PM was recorded as 'severe', with air quality levels being 460. Delhi air pollution has peaked 40 times the World Health Organisation's safe level mark. The prescribed safe limit is of 10 microgrammes per cubic metre. 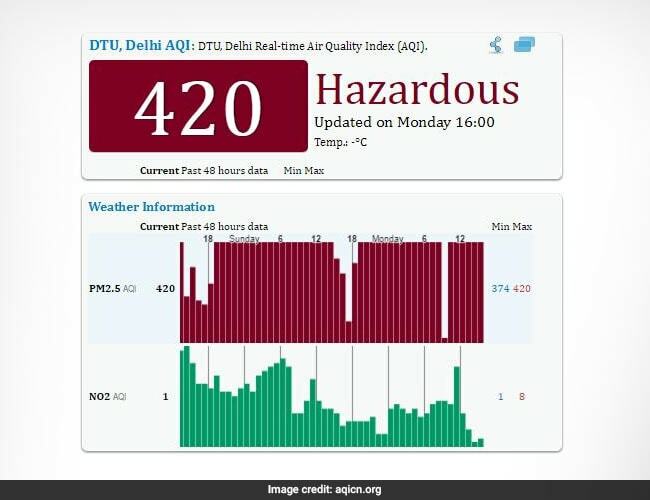 As per Central Pollution Control Board or CPCB, the pollution level in Delhi on Monday at 4 PM was recorded as 'severe', with air quality levels being 460. This has marginally improved from yesterday when nine of the 10 most polluted places in the country were in the Delhi-National Capital Region (NCR) with air quality levels over 490 - the hazardous category. PM2.5 was found to be the most prominent pollutant. PM2.5 are fine particulate matter, approximately 1/30 the average width of a human hair, the can lodge deeply into the lungs and enters into respiratory tract while breathing normally. The World Air Quality Index project provides LIVE Air Quality information for more than 70 countries, covering more than 9,000 stations in 600 major cities. 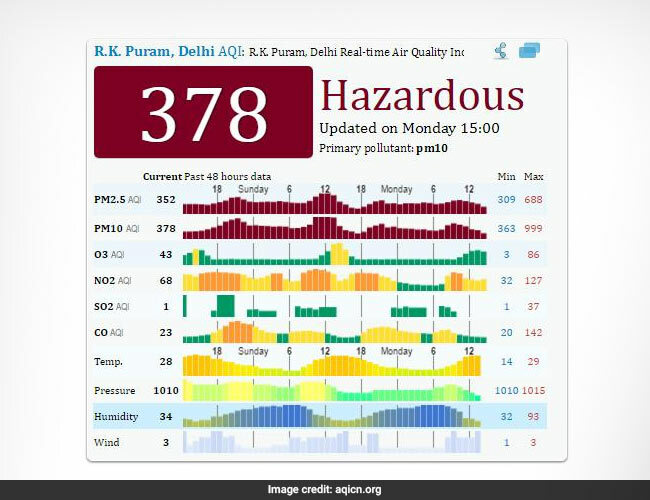 As of Monday, 3 PM, the air quality index in RK Puram, a residential colony where central government employees live, was termed hazardous with air quality level at 378. In the past 48 hours, the PM2.5 was indicated to be 352. 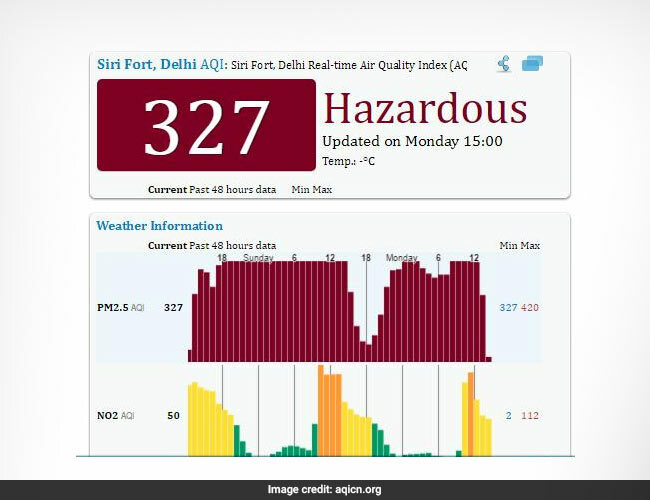 At the same time, the Air Quality Index in Siri Fort area too was termed hazardous with air quality level at 327. In the past 48 hours, the PM2.5 was recorded to be 327. As per the website's indication, hazardous air quality is equivalent to a health alert and people can have serious health implications if they breathe this air for long. 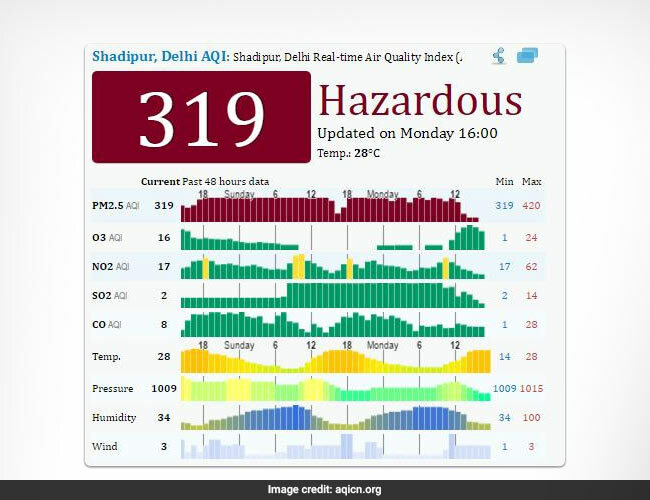 The other areas where Air Quality Index was reported to be hazardous are Shadipur in West Delhi, with air quality index at 319. At a similar time frame, the air quality level at Delhi Technical University in Bawana was recorded to be 420 with similar PM2.5 levels too. As per the advisory, any outdoor exertion should be avoided in this hazardous air quality area. 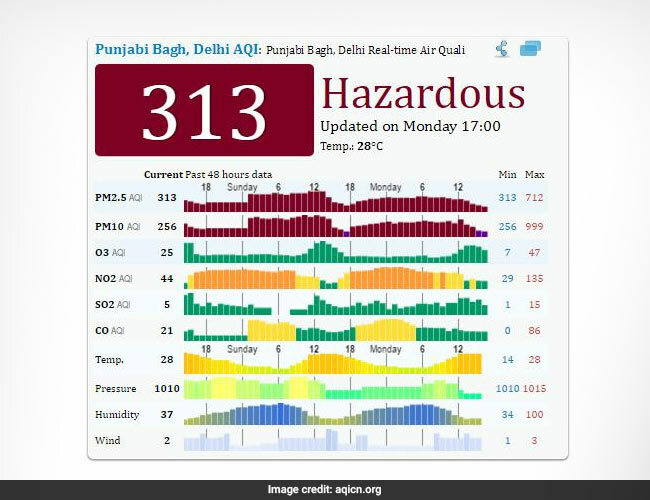 In Punjabi Bagh in West Delhi, the air quality was again termed hazardous with air quality levels at 313 and PM2.5 level was also recorded to be 313 in the past 48 hours. 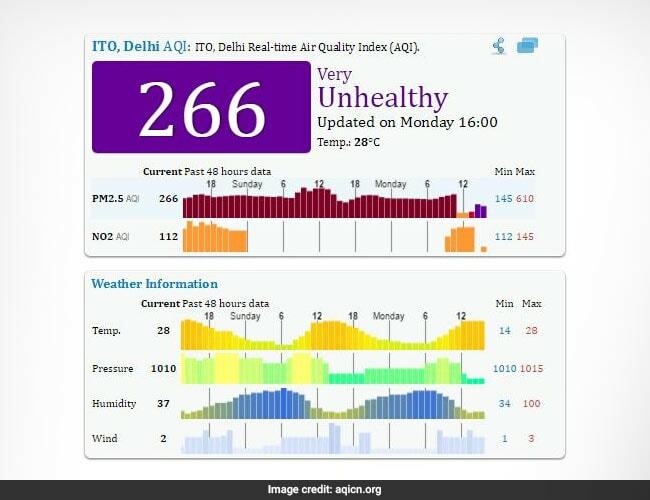 Two other zones, ITO and Mandir Marh showed air quality index to be very unhealthy, which as per the website, is a health warning for emergency conditions. ITO recorded the air quality index at 266 at 4 pm and Mandir Marg at 279 at 5 pm. The health advisory in this case is specially directed to children and people with asthma. They are advised to avoid any outdoor activities when the air quality index is indicating 'very unhealthy' air. As per the markers, good air quality should be in between 0-50 range in Air Quality Index. The air at this level poses no health risk.